Yes, it’s because of our industry and manufacturing prowess here. It’s because of our automotive capabilities here. We know how to build stuff. But, with increasing recognition, we also engineer, innovate, research, develop and test stuff—cutting edge, technological, “new” stuff—and those innovations are making the men and women that wear our nation’s uniform more protected, prepared and lethal. Much of the credit for this innovation goes to the symbiotic relationship between the U.S. Army and Michigan’s industry. This connection has been fostered in Warren Michigan since the 1946 Keller Report recommended after the “big” War that the Army’s research and development lab be located in the heart of America’s industrial capital—SE Michigan. The industry titans of the time rightly recognized that leveraging public and private intelligence, expertise and funding would keep our military leaning forward, and it has done just that, successfully for 75 years. We’d like to introduce you to Dr. Paul Rogers, who, for the last 6 years has expertly guided that lab, Army TARDEC (Tank Automotive Research, Development and Engineering Center) as the Director. In this capacity, Dr. Rogers has developed and manages the lab’s 30 year plan and guides its multitude of industry partnerships and agreements. 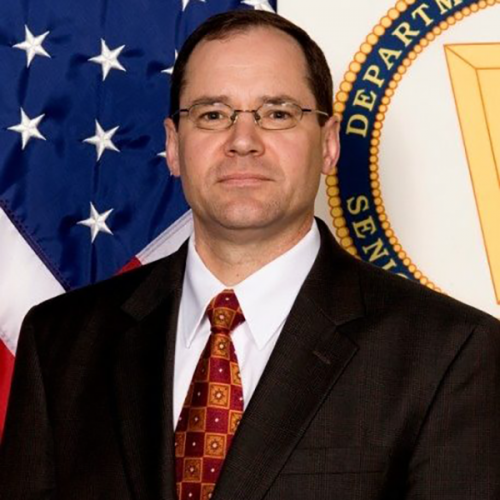 We asked Dr. Rogers to share with you his vision for the future of the U.S. Army, the advantages of doing defense business in Michigan and how you can engage with the U.S. Army. Q: Dr. Rogers, please tell us about TARDEC’s mission and how you leverage private industry to provide service to the U.S. Army. A: Vicki, thank you for taking the time with TARDEC. We appreciate our relationship with the State of Michigan, MEDC’s Michigan’s Defense Center and the support of the integration of ground vehicle technologies for the Warfighter. We look forward to working more with the State and the region in the future. 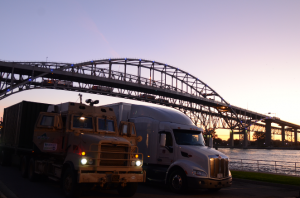 At TARDEC, our goal and our passion is in being that bridge between the development of the latest technologies with the vehicles our Warfighters use to complete their missions and get home safely. We rely upon our industry colleagues, to include our partners in Michigan’s government, to help us achieve this goal. In a very important way, that’s why we’re here in Southeast Michigan to begin with. The latest automobile technologies, from powertrain development to driverless vehicles, are at the forefront right here, both within the walls of our R&D center and with the automobile manufacturers and suppliers. Our proximity and our relationships with these companies affords our engineers and scientists the access they need to the very latest technology advances in order to keep the Army’s vehicle fleet the most advanced in the world. Q: 2018 TARDEC Industry Days is on the calendar for April 24-25 at the Macomb Community College (the same time and location as the Michigan Defense Expo). Please tell us about this event and why Michigan companies may want to attend. A: This is TARDEC’s primary means of relaying to industry what our needs and capability gaps are. Our best partners, the ones with whom we work most frequently, are those who are well-versed in our mission, our technology development trajectory and where we think we’ll need partners in the foreseeable future. Additionally, the Industry Days event gives our industry colleagues an opportunity to meet one-on-one with TARDEC leaders and engineers specific to our various technology R&D areas. Industry Days is a great opportunity to members of industry to interact and network with other industry members, too. We have always incubated valuable relationships with and among our industry counterparts at Industry Days, and we look forward to continuing this in April again, and we hope you’ll share more about this in the next newsletter. Q: What are the most needed technologies in the Army today? In the next 10 years? A: The Army regularly takes a look at the missions our Soldiers are asked to do and assesses what capabilities our equipment, including our vehicles, need in order to facilitate those missions. This is a requirements-based approach that our vehicle experts at TARDEC inform on the current state of the technology and where that technology may be in the next 5, 10, 20 years and beyond. The technologies we’re working to develop in order to expand the capabilities of our warfighters in a lot of ways parallel what our commercial counterparts are doing in the auto industry. Automation holds a lot of promise for expanding what our Soldiers can do while significantly increasing the standoff distance between them and the enemy. Improved engines and powertrains can propel our vehicles faster and with more agility while powering the advanced electronics that are becoming increasingly ubiquitous. And we’re always taking advantage of the latest technologies to make our vehicles and the Soldiers they serve more survivable and resilient. Q: TARDEC strives to do business with innovative companies. What types of capabilities are in high demand by your agency? A: At TARDEC, when its focused toward the capabilities that help the Warfighters to do their missions and bringing them home safely, nothing is more highly regarded than innovative approaches, creativity and effectiveness. More tangibly, we work most effectively with collaborative partners who approach us with a solution to an articulated need or capability gap. If we’ve talked about a technology, capability or innovative need and you’re calling up our External Business Office with a solution, those are the calls we love to get. Q: How can a Michigan company get their foot in the door at TARDEC? A: The absolute best way to start a relationship with TARDEC is through understanding the direction in which the Army is looking to travel with vehicle technology and synergizing, or finding where your capabilities are best aligned, with that direction. Our External Business Office was developed with this in mind, and works to tell the TARDEC story and express our needs as best as we can. Our annual Industry Days event is one such example. TARDEC’s technology leaders take these days to outline what capabilities and technologies we need developed the most. Rather than bringing a catalog of technologies and developments to a TARDEC engineer, knowing what the Army is looking to accomplish can help you target and tailor your conversation. Q: Do you have any advice for companies who are interested in doing business with the U.S. Army? Q: Please tell us about some of the cooperative projects TARDEC is engaged in with the automotive industry. A: Our synergy with the automotive industry is a key component to advancing Army vehicle capability. Our cooperative projects with the industry range from individual technologies to complex capabilities. Recently, a few of our more heavily highlighted success stories advanced our understanding of Hydrogen Fuel Cells, an advanced opposed-cylinder engine that’s targeted for the first Next Generation Combat Vehicle experimental prototypes and, in many of the component technologies, the leader-follower work we’ve been doing. All of these projects are conducted with partners through different contracting or relationship mechanisms. Q: TARDEC recently held an autonomous border crossing at the Blue Water Bridge to Canada. The Michigan Defense Center was proud to be able to work with your team to provide $500,000 of state funding for this project. Please tell us about the objectives that were reached and how these types of projects further America’s national security. A: We’re very proud of the work our engineers and project leaders did with our Autonomous Mobility Appliqué System the last couple of years, culminating most recently in the Leader-Follower demonstration across the Blue Water Bridge in October. The massive potential that leader-follower technology holds, both to the greatly expanded mission capacity of our Warfighters and to their safety and security make the advancement of this capability a passion of ours. We look to driver-optional features to enhance the safety of our drivers through things like lane departure warnings and proximity warnings in traffic. Additionally, fully-autonomous capabilities may allow us to move Soldiers from the vehicle cabs. The data we collected during the demonstration there and along Interstate 69 informs our systems’ programming while guiding our path for future development. Thank you Dr. Rogers and team for taking time out of your busy day to discuss your mission with Michigan. To watch a video about autonomous vehicle work at TARDEC and the groundbreaking Blue Water Bridge crossing event, CLICK HERE.